Today, I’m delighted to welcome Heidi Skarie to Virtual Book Club, an interview series in which I put questions to authors about their latest releases. If you’d like to pose a question, you’ll have the opportunity to do so at the end. Heidi writes historical fiction and science fiction novels that are an intoxicating amalgam of action, adventure and romance, featuring strong, spiritually inquisitive heroines. 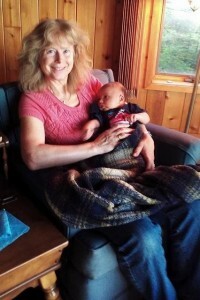 She lives in Minnetonka, Minnesota with her husband, Jim and cat, Lucky. 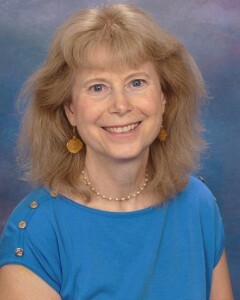 With a background in education, Heidi now teaches creative writing classes. Q: Heidi, perhaps you can start by telling us how you became a writer. My life as a writer began when I had a dramatic dream about a futuristic world at war. The vivid dream was like watching an action/adventure movie. Excited about the dream, I recorded it upon awakening. That night the dream continued where it left off. After six nights, I had a hundred-page journal entry that recorded the series of dreams. This awakened my interest in writing, which continues to be one of my greatest passions today. Q: What was your first recognition as an author? 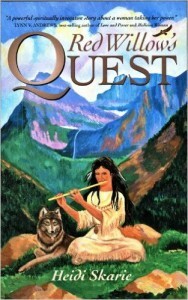 My first book, Red Willow’s Quest, was released by Sunshine Press, a small Colorado publisher. It was successfully promoted with radio and TV interviews, a book tour in Colorado and book signings in bookstores in Minnesota. It also received a good library review and was carried in some libraries. I write about strong woman protagonists who are loving, compassionate and dedicated to their ideals and loved ones. My books also have strong male protagonists. Q: Annoure is the protagonist in your third novel, Annoure and the Dragon Ships . Describe her to us. She’s an independent, young woman who is smart, feisty, loving, brave, stubborn, impulsive, beautiful and spiritual—who has both Christian and Druid training. 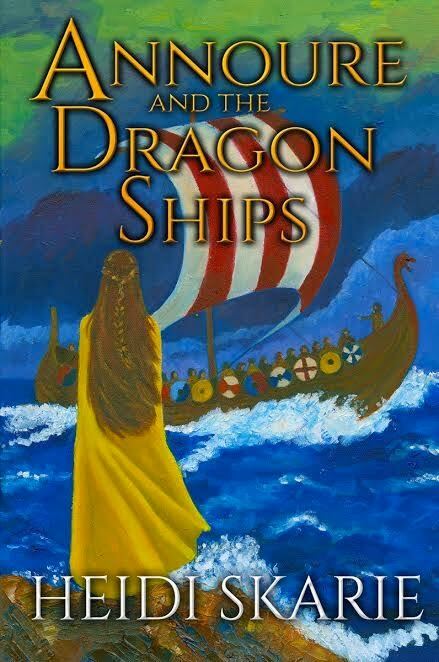 My working title was Dragon Ships, but when I was set to publish, I decided to change it to Annoure and the Dragon Ships since other books called Dragon Ships existed and a TV show had that title. I didn’t want my book confused with the other books. Q: Where is it set and how did you decide on the setting? My husband’s ancestry is 100% Norwegian and I’m fascinated by the Vikings and their impact on the world at that time. I decided to write a novel about the Vikings and opened the story with the second raid on Saxon England in 794 A. D. During the raid Annoure is abducted by a Norseman. From there she is taken to Norway, and then later taken across the Baltic Sea to the steppes of Asia. Q: Tell us a little about the major areas you researched. The initial incident in the book is based on an actual historical raid on St. Paul’s Church and its two monasteries in Jarrow, England. The raid was unsuccessful for the Vikings in many ways. I researched what life was like in medieval England, including the clothing, customs, politics and religion. I then travelled to England and visited St. Paul’s Church in Jarrow, where the raid took place. Nearby was a reconstructed medieval town that I visited as well. I also studied the Vikings, including their gods, long ships, weapons, clothing, houses, customs, language, stories and beliefs. My research included travelling to the western fjords of Norway where much of the story takes place. Last I researched the Viking trade routes across the Baltic Sea and into the Asia steppes and people living there and their gods. When writing about this time period and the Norsemen, many things were hard to write about. It was a violent period of history. Without giving away the plot, it’s hard to see your character go through hardship and pain. It’s also hard to write about characters you like dying. Q: You write in two distinct genres.Where does Annoure and the Dragon Ships fit in with the rest of your work? It’s my second historical fiction novel. 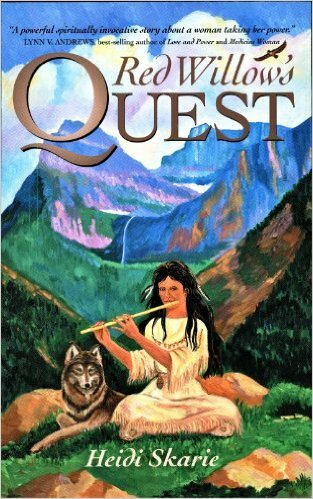 The first one is Red Willow’s Quest set in 1807 A.D. about a Native American maiden studying to become a medicine woman. 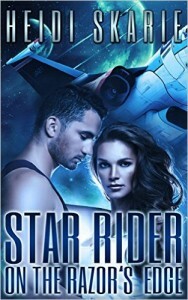 I’ve also written Star Rider on the Razor’s Edge, a science fiction novel. It has strong, female protagonists, but is set in the future, instead of the past. Q: Regardless of genre, what elements do you think make a great novel? Do you consciously ensure all of these are in place? I read once that a good story has a good beginning, middle and end. A great book has a great beginning, middle and end. I try to write a beginning that draws the reader in, a strong middle that keeps the reader engaged and an ending that leaves the reader feeling satisfied and as if they’ve been on a great adventure. Q: What is it about your novel that makes it particularly suitable for book clubs? 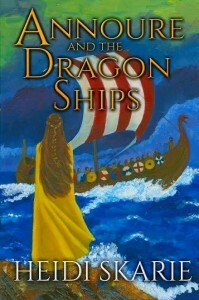 Annoure and the Dragon Ships includes a Reader Group Guide with questions that can be used in a book club. The book would be an interesting one to discuss because the characters are complex and make good and bad decisions and moral choices. The book is also dealing with an interesting time in history. The Vikings were traders, explores and raiders with advanced ships. Their culture and religion differed from the Christian religion of those times and led to some of the conflicts. Q: John Irving says you can’t teach writing. You can only recognise what’s good and say ‘keep doing that.’ Do you think that’s true? The craft of writing is a skill that can be taught, but an element of writing goes beyond craft into art. The art of writing is more subjective. We can recognise something that is moving or profound or captivating without knowing exactly why. I think that’s what Irving is referring to. Q: Irving also says that all writers should have children. I don’t. 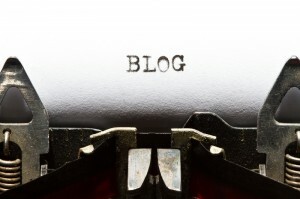 Would you say being a parent heavily influences your writing? I have three children and two young grandchildren. They influence me in that I’m able to write more realistically about babies and children in my books with the feelings of a parent. I also write effectively about pregnancy and childbirth from my own experiences. Q: Who designs your book covers? If you used a cover designer, what brief did you give them? Deranged Doctor Design designed the book covers for Star Rider on the Razor’s Edge and Annoure and the Dragon Ships. I did an oil painting for the cover art for Annoure and the Dragon Ships and gave it to the designer. I told them the book was about a young woman kidnapped off the coast of Saxon England by Vikings. They used gold lettering for the title. I liked the gold colour, but suggested Celtic lettering, which we ended up using. They were easy to work with and did several drafts until I was happy with the cover design. 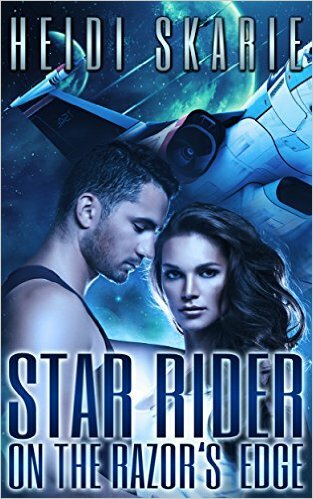 For Star Rider on the Razor’s Edge I told them it was a science fiction book. The first draft was of an attractive man and woman and looked like a romance novel. I explained that the book needed to look more like science fiction and they added the spaceship in the background. We went through several revisions before we agreed on the final one. They were willing to listen to what I wanted and had reasonable rates. Want to find out more about Heidi and her work? Visit her website , find her on Facebook, follow her on Twitter, or visit her Pinterest boards. Remember, if you enjoyed this post please share it. If there’s anything else you’d like to ask Heidi, leave a comment. Thank you for the great interview. I appreciate being on your website. I’m happy to answer any questions any readers have.